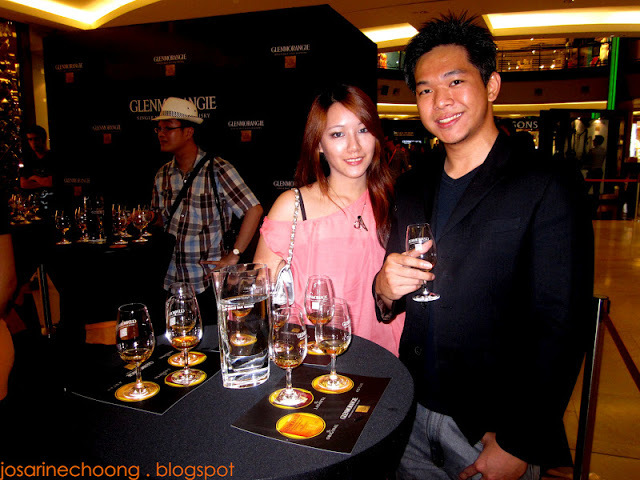 Glenmorangie is, quite simply, the most delicious and complex single malt whisky in the world. Its multi-layered aromas and kaleidoscopic flavours stimulate the senses and entice the palate. Scotland, and then expertly matured in the finest oak casks. Undeniably the most complex and perfectly balanced single malt, every sip of Glenmorangie offers a heady and alluring experience in taste, texture and aroma. unnecessary lengths for the sake of true distinction. 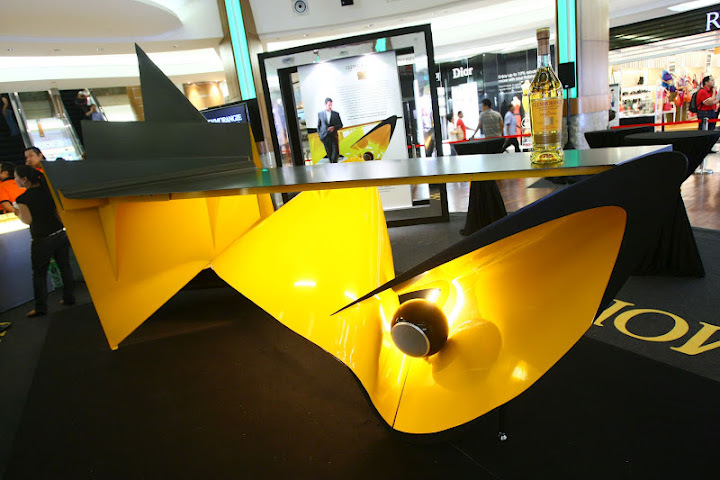 Resonating perfection as such is the SOUNDFORM Fluid – a stunning, sculptural bar that brings to life the ‘Unnecessarily Well Made’ philosophy advocated by Glenmorangie. 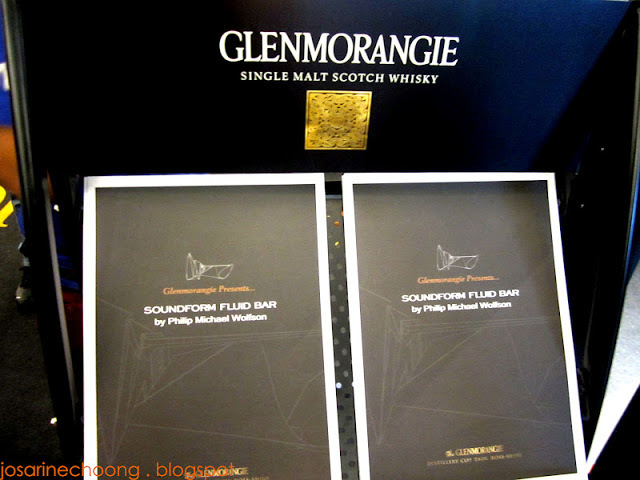 Officially unveiled at The Gardens in Mid Valley, the SOUNDFORM Fluid bar was designed by renowned architect and interior designer Philip Michael Wolfson for Glenmorangie, and it was inspired by the sonograph reading of the sound of Glenmorangie whisky being poured into a crystal glass. I managed to try three types of their whiskey: Original, Lasanta, and Astar. The Original in my opinion tastes similar to other whiskeys but a little stronger. The Lasanta I would say is my favourite as it is easier to drink as compared to Original and Astar. 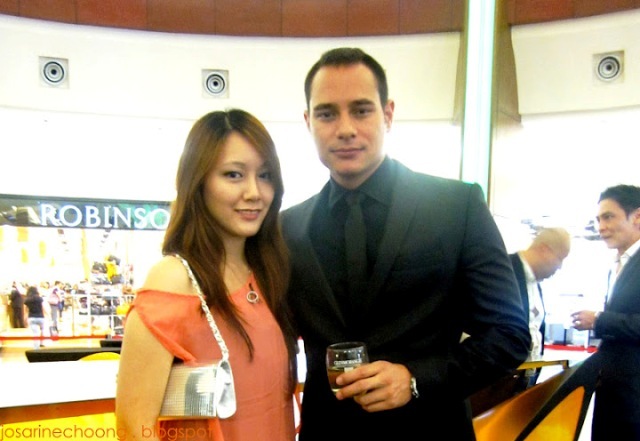 Lasanta also has a fruity scent and fresh feel which helps with the taste. Astar however is a little much stronger than the other two, my first sip I could feel the burn of my mouth down to my throat. 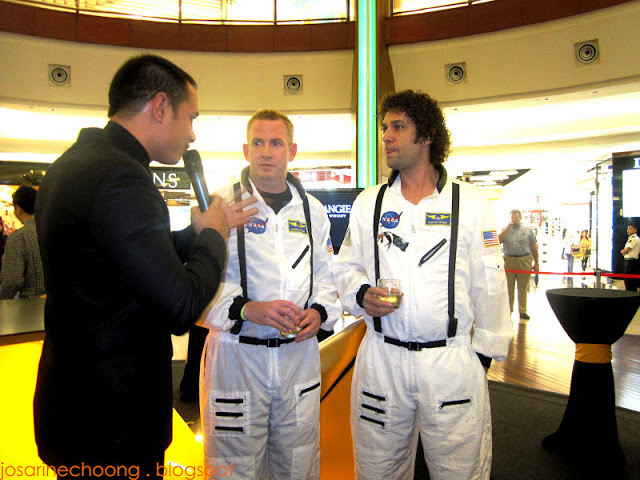 Ben Ng explained that the first sip is strong, but the next sip you will no longer feel the burn, and it'll be much easier to drink.-True. 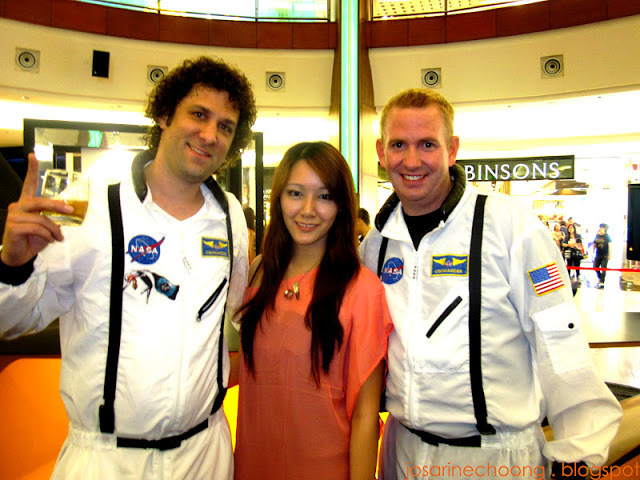 Statuesquely taking the centre stage at the North Atrium of The Gardens Mall, the SOUNDFORM Fluid is an evocative sight. 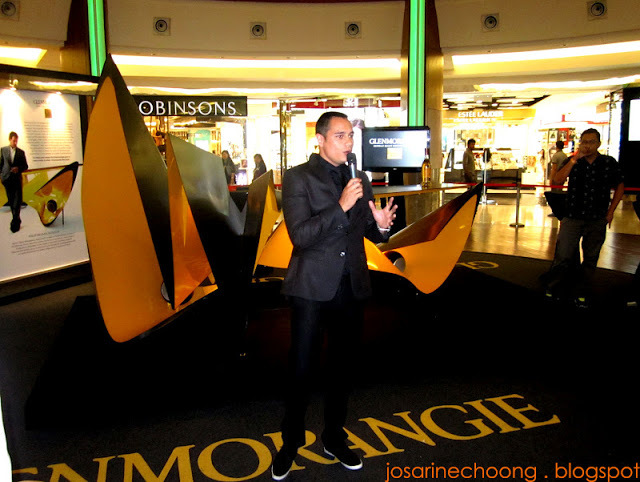 Its bold jagged edges are covered in a black aluminium finish on the exterior, while the golden orange interior, which mimics the colour of Glenmorangie, is lit up to create an aesthetic, visual counter balance. 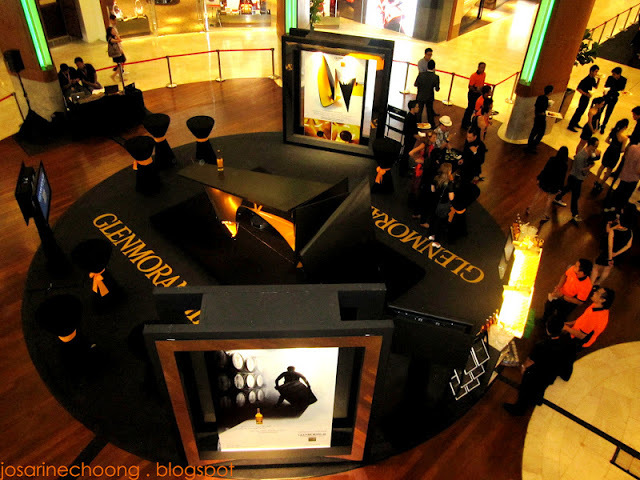 Complementing the stunning display was commentary by Glenmorangie Malaysia’s Brand Manager, Michael Tan, who explained the concept that sparked the creation of the ‘Unnecessarily Well Made’ SOUNDFORM Fluid bar. the boundaries of design. His design philosophy exactly mirrors our philosophy with the birthing of a standout custom made bar showpiece created through the distillation of the sound of a pour of Glenmorangie. From the outset, while the bar may look like a twisted form of metal; but it is truly the meticulous attention to detail and the spirit of innovation that has went into the formulation of the final showpiece that serves as a perfect tribute to the whiskey that birthed it,” Tan added. 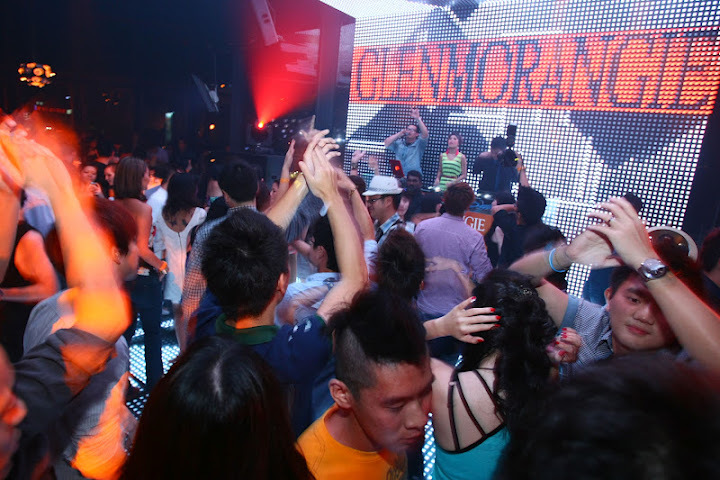 Glenmorangie single malt whisky obtains its multi-layered aromas and kaleidoscopic flavours through maturation in fine oak casks, obtained from the Ozark Mountains. While there are many perfectly good single malt whiskeys matured in casks that are re-used up to eight times, Glenmorangie goes the extra mile for that added elegance in its whisky by only ever using their casks twice. At its Tain distillery in the Scottish Highlands, Glenmorangie employs the tallest whisky stills in Scotland, ensuring only the purest vapours are used in the spirit. 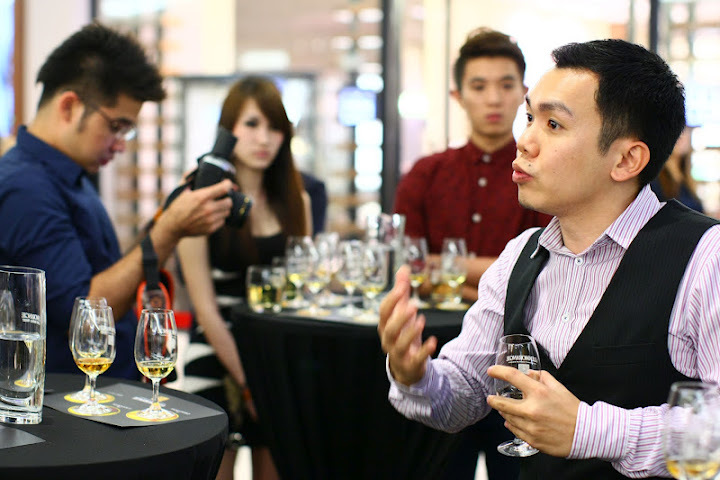 “It is the superiority of the ingredients: local spring water from its own Tarlogie spring and locally grown Scottish barley, combined with the skill of the craftsmen who follow the same time honoured approach that the company has used throughout its long history, results in Glenmorangie’s smooth spirit ofdistinction,” explained Glenmorangie Ambassador Ben Ng, who conducted an informal whisky tastingsession for those who were curious to unravel the complexity of the Glenmorangie range throughout the SOUNDFORM Fluid Showcase at The Gardens. The showcase saw celebrities and single malt aficionados enjoy a night of appreciation as they savoured the ‘Unnecessarily Well Made’. 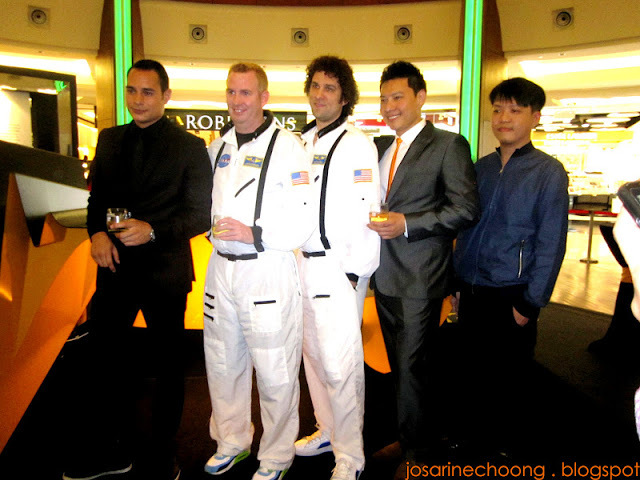 The SOUNDFORM Fluid bar remains on display at the North Atrium in The Gardens, Mid Valley till 1 May 2012. 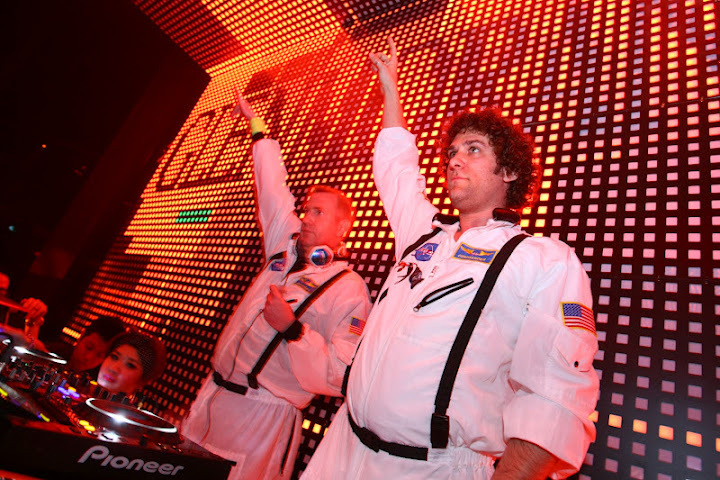 After which, the crowd adjourned to Vertigo for the after-party featuring US DJ duo Manufactured Superstars, who supplied a steady flow of house, dance and electro pop into the night. Joey G, MC for the night. 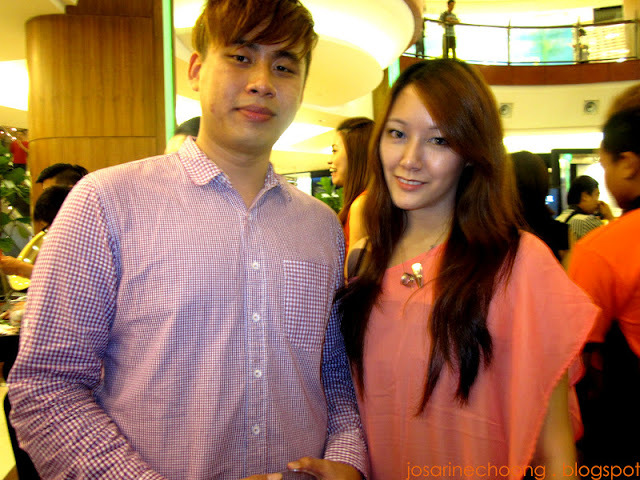 Special thanks to Isaactan.net for the opportunity to attend this event. Common Hair Mistakes Every Women Do! Make Up Tutorial by Barbie Doll. OLYMPUS EP3.... I Want it! See What Philips Lighting Can Do! Weight loss with Lemon Water, a Myth?